The world's largest selection of certified NSHEV. Natural smoke and heat exhaust ventilators (NSHEV) dissipate hot flue gas in case of fire. 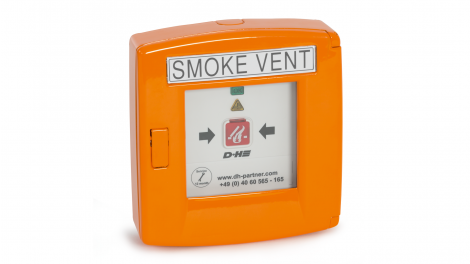 Here, vital smoke-free areas are ensured close to the ground and on escape and emergency routes. NSHEV forms the interaction of all smoke extraction solution components used – from the window profile to the drive. All individual parts of a defined NSHEV system require safety-related certificates. Since 2006, the valid EN 12101–2 standard requires standard-compliant composition of all NSHEV components, which are subject to elaborate testing procedures. Solutions from D+H feature safety from the most renowned testing institutes and remain the largest selection of certified systems worldwide. And this allows them to achieve optimum planning security for all relevant projects – without additional costs. From the control system to the drive. Our products provide certified protection by default. Natural smoke and heat exhaust ventilators (NSHEV) in the Capitol Music Theatre in Wrocław. The Capitol Music Theatre is the cultural attraction of the capital of Lower Silesia. The complex architecture project consisted of renovating, modernising and expanding the historic theatre. The challenge for D+H was to develop a complete solution for the particularly aesthetic sketch that combines state-of-the-art fire protection and natural ventilation with design specifications. This ensures that aesthetics and safety complement each other perfectly. The historic Capitol Music Theatre was re-opened in Fall 2013. Krakow-based architects KKM Koenig, Architect drafted the extensive renovation, modernisation and expansion plans. The complete NSHEV solution has been implemented by D+H Poland. A NSHEV complete solution was installed for the complex building with its wide variety of requirements. The RZN 4332-E SHEV control panel is in charge. Line plug-in units with fire detectors, buttons and wind and rain sensors supply the plug-in units with the necessary information. 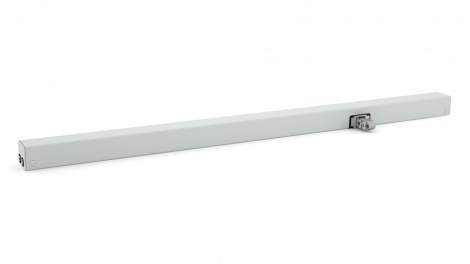 It controls the ZA series rack and pinion drive on the roof windows according to the incoming data or via a key switch. In fast operation and completely effortlessly, the ZA 155/1000-BSY+-HS lifts the heavy roof windows within the normative prescribed 60 seconds. 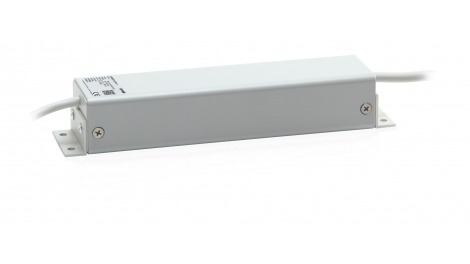 The drives are connected to the MB-SR50 Foolproof roof profile using special brackets (ZA-BS034-OM). When is a NSHEV required? A NSHEV must always be used in Europe if natural smoke extraction is required by the building code. In Germany this requirement is found primarily in the building code for special structures such as places of assembly, shops, schools, museums and hospitals. The requirement includes proving the aerodynamic efficiency of the smoke-vent area of a NSHEV (natural smoke and heat exhaust ventilator) in accordance with EN 12101-2. Testing of the NSHEVs is divided into various performance classes. These are indicated on the CE marking. Therefore, in the tendering processes, the specialist planners and architects in charge must select NSHEV classes that correspond to the requirements of the building project. In Germany, there are different regional requirements for wind and snow loads. The temperature resistance of the entire NSHEV must be ensured for at least 30 minutes at 300 degrees Celsius. Are there any additional costs for D+H products? In addition to having their functional safety tested, devices which are also used for everyday ventilation must be opened to the ventilation position 10,000 times. Our NSHEV solutions offer the largest selection of certified systems on the market and the guarantee that you can always offer your customers maximum safety. The answers in our summary. Therefore D+H has developed an optimum solution for manufacturing an NSHEV. When D+H plans to introduce a drive, it is tested and certified in conjunction with all profile systems of common window manufacturers. You get this additional benefit for all D+H products exclusively and without additional costs.